This fall has been exceptionally busy for our family. We currently have two children in basketball, three in creative writing, four in choir, four taking piano lessons, and five who’ve been swimming laps at the local junior college with their father once or twice a week. To print a copy for your own use, just click on either image above. 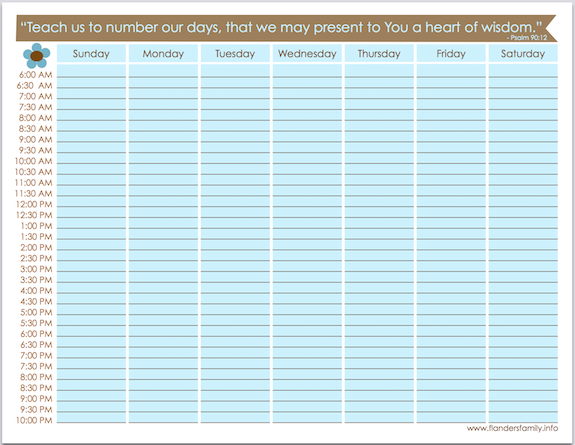 Print multiple copies if you like, or do as I did and laminate one, then use a wet erase marker on it to track weekly activities and commitments. Enjoy! 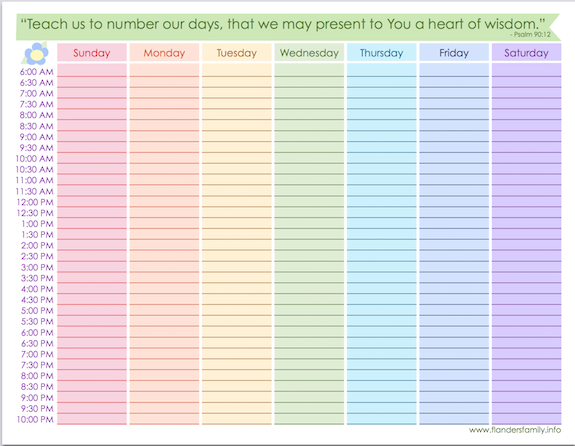 This will be great for our homeschool schedule. Thank you! You’re welcome, Peggy. Glad you can use it! May God Bless you and your family. Thanks for letting me browse and save items. You’re so welcome, Don. Glad you found something you wanted to keep!